In a big U-turn, the Centre has told a constitution bench of the Supreme Court that it is examining Law Commission's report favouring legalising of passive euthanasia, allowing terminally ill persons the right to refuse essential artificial medical support system if they do not want to prolong the agony, with certain safeguards and a bill in this regard will be drafted soon. It is to be noted that earlier the Centre had opposed both active and passive euthanasia saying it was a form of suicide which cannot be allowed. A five bench judge of Justices Anil Dave, Kurian Joseph, Shiva Kirti Singh, A K Goel and R F Nariman had on January 15 virtually revived the debate on the contentious issue by seeking the Centre’s view on it. In an affidavit filed recently, the Centre said it has framed a legislation on the issue but would await the apex court's verdict on it. “Based on the recommendations of the expert committee, the Directorate General of Health Services (DGHS) has proposed formulation of legislation on passive euthanasia. The expert committee has further suggested certain changes in the draft bill. 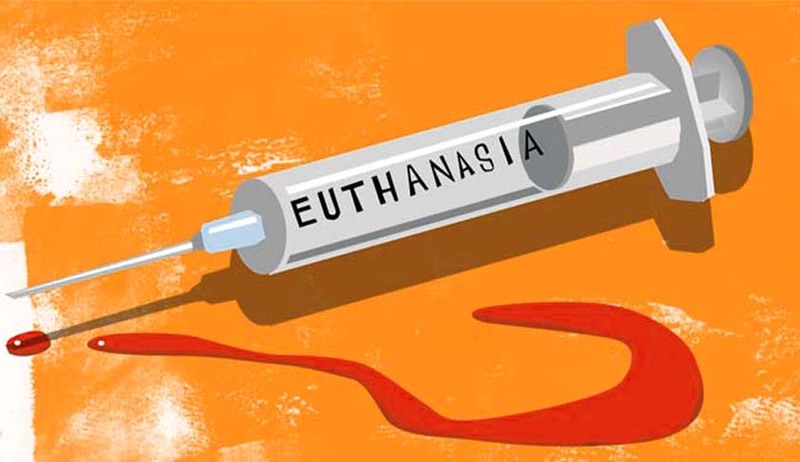 The committee has not agreed to active euthanasia since it has more potential for misuse and, as on date, it is prevalent in very few countries worldwide”, the ASG said. Advocate Prashant Bhushan, appearing for NGO Common Cause, which has filed the PIL for legalising passive euthanasia, said the affidavit does not take us anywhere. After a brief hearing, the ASG requested deferment of the matter by a week so that the Law Ministry comes out with its stand on the Law Commission's report. Accepting his request, the bench posted the next hearing on February 12. The bench was hearing a public interest litigation filed in 2005 by NGO Common Cause which said when a medical expert opines that the person afflicted with a terminal disease has reached a point of no return, then he should be given the right to refuse being put on life support system as it would only prolong his agony otherwise. The apex court had two years ago issued notices to states and Union Territories on the issue. The NGO had prayed for declaring the right to die with dignity as a Fundamental Right and sought a direction to the government to adopt suitable procedures to ensure that those with deteriorating health or the terminally ill should be able to execute a living will and attorney authorisation for termination of life. Bhushan explained that there are three types of euthanasia — positive, passive and living will. He said his emphasis was on the category of living will in which a person makes an advance declaration that if during his treatment, it becomes clear that there is no chance of revival, he should not be put on life support system or ventilator. The bench is also re-examining its historic March 2011 judgment which allowed “passive euthanasia” — permission to withdraw life support from patients in a permanently vegetative state and permit them to die. That verdict by a bench headed by Justice Markandey Katju had given thousands of patients living in coma or suffering from an incurable disease the permission to end their agony by saying that the parents, spouse or other relatives could take the important decision after getting the consent of the high court concerned. The Constitution Bench, hearing the matter, was set up after a three-judge bench had on February 25, 2014 referred the matter to a larger bench saying it was extremely important to have a clear enunciation of law in view of inconsistent opinions in its previous judgment. The bench had also said that its verdict of 2011 allowing passive euthanasia was delivered on a wrong premise. Only nine countries have legalized euthanasia. They are Netherlands, Belgium, Colombia, Luxembourg, Switzerland, Germany, Japan, Albania and US. In US, only the states of Washington, Oregon, Vermont, New Mexico and Montana have legalized it.